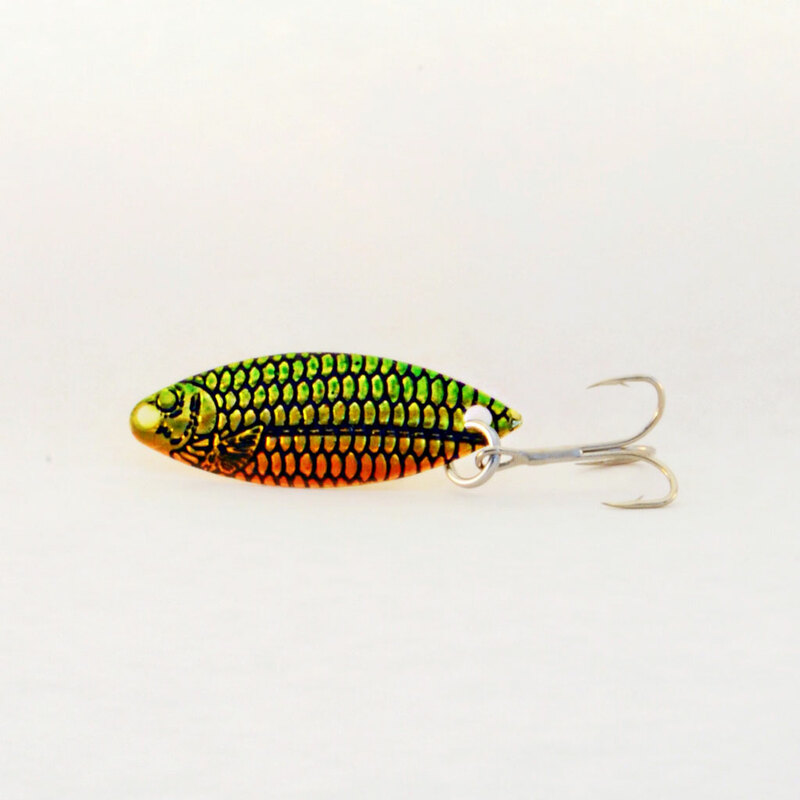 A metal spoon fishing lure with a bright green back and an orange belly. 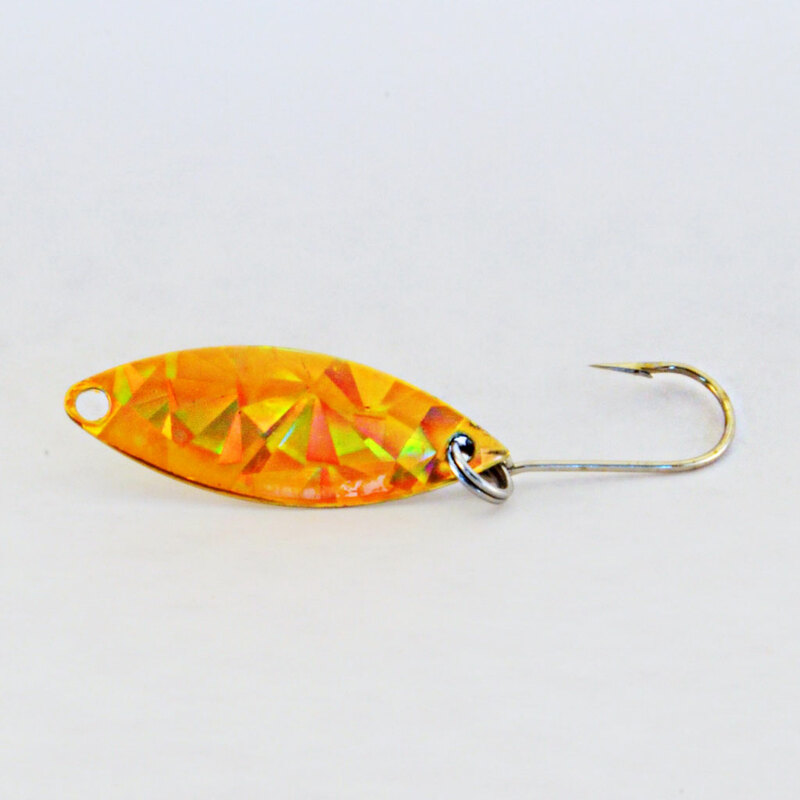 A metal spoon fishing lure with a bright green back and an orange belly. 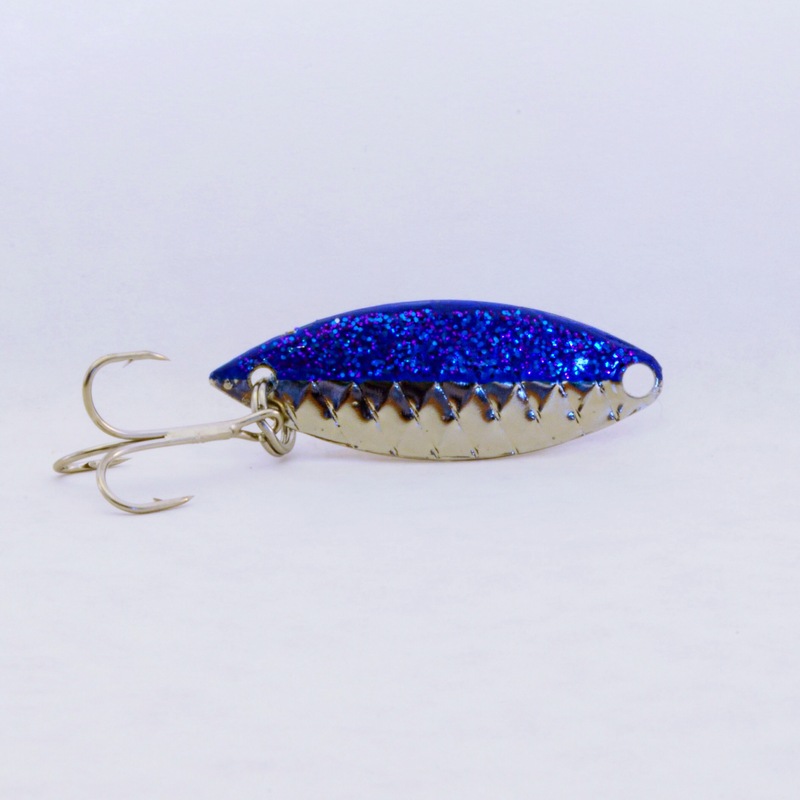 You’ll always have fish to fry when using the Bass Fry. 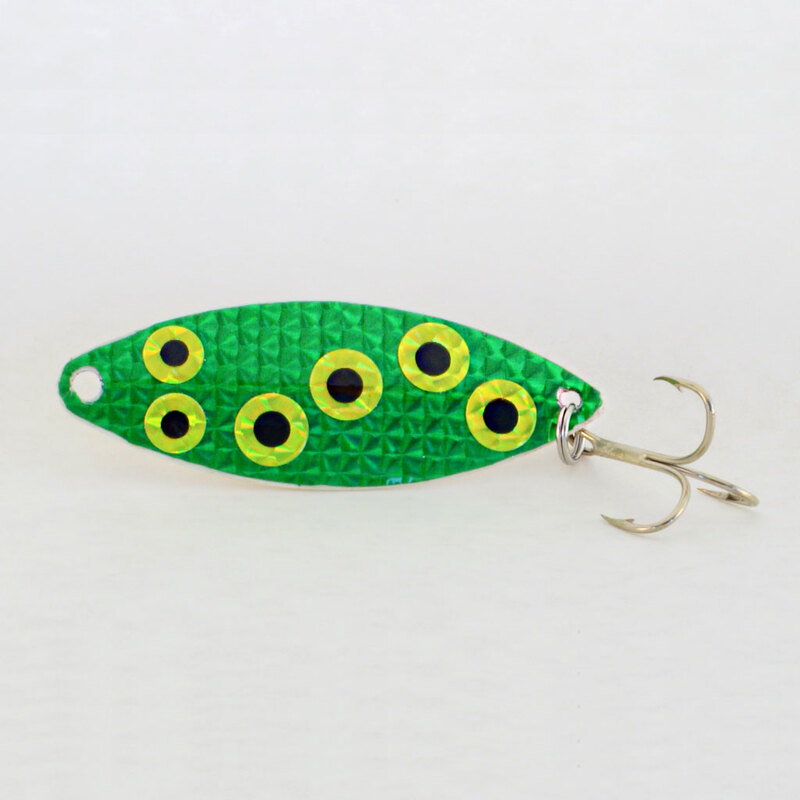 Ranked #3 Best Bass Lure by Captain Steve.